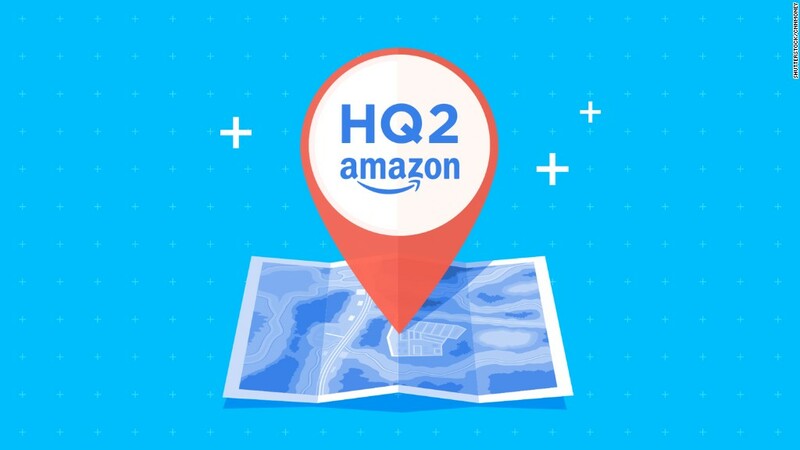 Amazon has confirmed the obvious: It's received a lot of interest from cities vying to host its second headquarters. Amazon (AMZN) announced plans for a second headquarters in September, sending cities into a frenzy. The company expects to invest more than $5 billion to build the facility and will create as many as 50,000 "high-paying" jobs. Amazon says the new headquarters, dubbed HQ2, will be a "full equal" to its Seattle campus. Cities have made elaborate and creative gestures in an effort to woo Amazon. Kansas City Mayor Sly James wrote five-star reviews for 1,000 random items on Amazon's website; Tucson sent Amazon CEO Jeff Bezos a giant cactus; and New York City lit up landmarks like the Empire State Building in "Amazon orange."